I may be a terribly typical teacher when I say this, but the love of reading is one of the best gifts you can give a person! Reading is more than just a brain exercise. It takes you on adventures, it teaches you how to grow, and most importantly it helps you understand the people and world around you. That is something we lack as a society. I'm so thankful we are a reading family. So you can imagine the excitement in our house when we received 5 books in the mail from Carole P. Roman to review! I wasn't familiar with this author before this review, but I'm not sure how. She has written over 35 books (most of which are children's), received over 100 book awards and over 3000 online reviews. Can you believe all of that came from her son daring her to start writing? Her background in teaching combined with a spirit for discovery has turned out to be a great recipe for the job of an author. 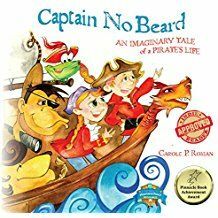 The first two books we received are from Roman's Captain No Beard series. 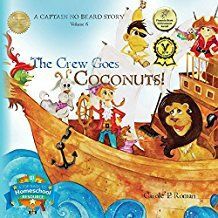 Captain No Beard: An Imaginary Tale of a Pirate's Life and A Captain No Beard Story: The Crew Goes Coconuts! Cousins Hallie and Alexander explore the edges of the earth with their trusty imaginations and lively stuffed animals. In the first story, we get introduced to all the key characters and the grand pirate adventure they are on together. In The Crew Goes Coconuts! the crew learns to deal with bullying and the struggles it brings. As Hallie aptly says, "No one is perfect! That's why we should look for something to like in everyone." These were big hits with my kids (ages 6 and 4) who are big into imagination adventure right now. After reading these, I'm interested in the others in the series that continue to address real life problems our kids will face. 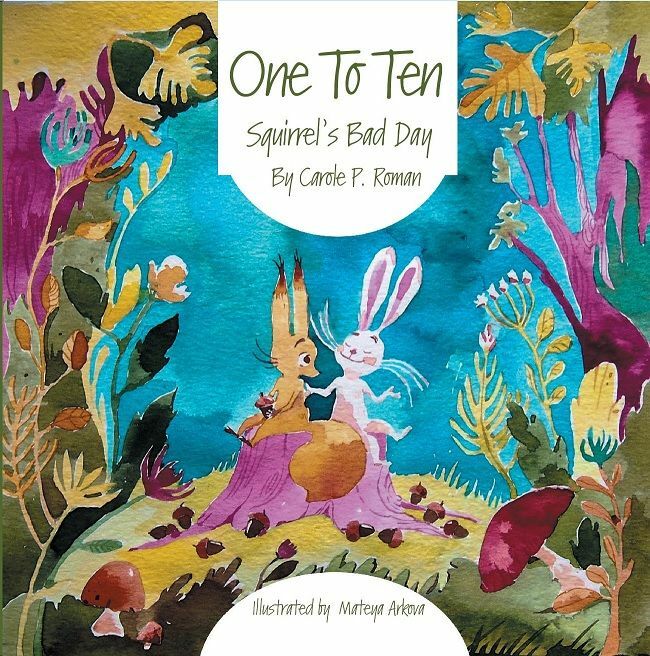 In a similar way, One To Ten: Squirrel's Bad Day seeks to demonstrate what really matters when life gets a little too overwhelming. We had a great discussion together after reading this book because this is relevant to our life every. single. day. Our household is full of strong personalities and children to boot, so EVERYTHING is a HUUUGE deal, even when it's not. Learning along with Squirrel to evaluate just how bad this situation really is gave us all a tool that can be carried into any activity of life. For a typical picture book it was a little longer than I expected, but the content was worthwhile. For the independent reader who is ready for a chapter book, the Oh Susannah series is a good place to start. Oh Susannah: It's in the bag walks us into the life of 3rd grader Susannah and all the things swimming through her head from breakfast to homework to a ripped bag. As we read this together as a family (because I wanted my non-reader to benefit from the content too), I identified with the parents so much in the book. They were trying to take care of their lives, but getting caught up in schedules and expectations. Talk about calling me out! Since the baby was born, we're still trying to find the normal without ripping everyone's head off! It didn't take long for my 6 year old to notice the resemblance either. The mom character is constantly looking at the clock and more than once he glanced knowingly at me. That kid! Like the others, this book was full of relevant and encouraging content that successfully captured my kids attention. Especially as the readers grow, I'm thankful for good books I can throw their way. When we were offered this review, we got to choose two books and then given some surprise books to go along with it. This is one of my surprise ones that certainly didn't apply to anything we are learning right now, but turned out to be a great find for the future. 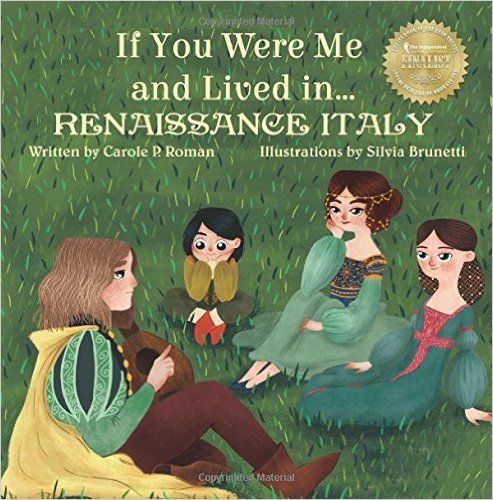 If You Were Me and Lived in... Renaissance Italy is part of the If You Were Me and Lived in...Series that explores all aspects of life in this different times and countries, especially through the eyes of children. We learned about kids' names, clothing, art, geography, food, and history including famous people of the time and all of it was supported by a glossary in the back. This series is extensive and could serve as a great addition to history and geography lessons. All of these books had fun artwork and good quality paper that sealed the deal of good quality literature. 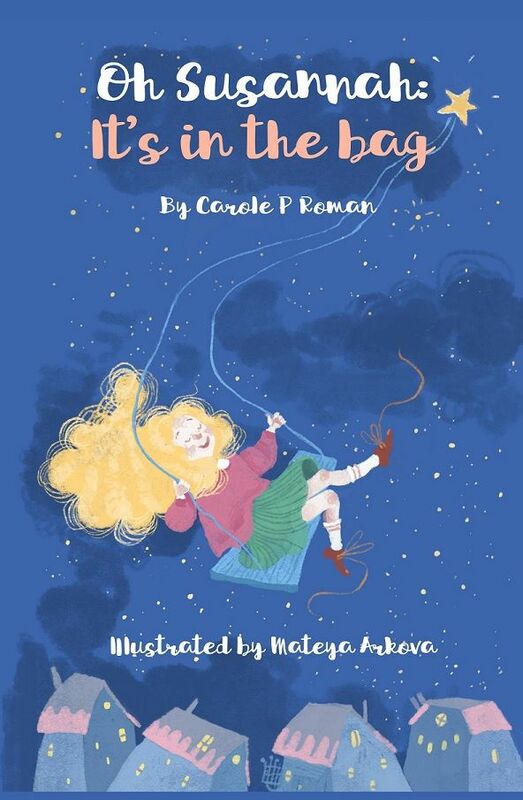 If you are looking for some new books for your kids' needs, take a look at all that Carole P. Roman has to offer.